Love their low prices and they work with all credits and require really low down payments ! To be honest i was hesitant at first but gave it a shot and ended up with a great vehicle... and i promise that Ms. Karina is great!!! She promised me a deal and actually got it worked out. At least a somewhat fair deal better than I thought thanks Karina! I'm a bargain shopper when it comes to cars , I went to at least 6 places before finally buying from Amerifirst Auto Center . At other places If the price was too good , the car had issues for example , oil leaks , big accidents , lights on the dash . I kept leaving frustrated places after place. 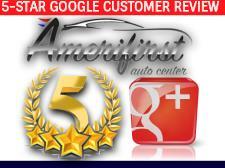 Amerifirst was the only place to have a consistency of clean respectable cars, all the staff were very clear about details and numbers and the finance manager made sure I understood everything clearly before I signed paper work . I got a loan with an extended warranty because I appreciate the peace of mind , haven't had to use it . I'm happy with my purchase knowing I paid less then I would have at one of those big dealers. I requested additional information and they promptly got back to me with the answers. All though I may or may not ( still looking for a third vehicle and this one is in the top 5) I look forward to doing business with them. (Translated by Google) Great option to buy your car, the attention is professional and kind on the part of the work staff such as karina who is extremely attentive and concerned with the client, they are always willing to help you, I recommend them worth the visit. Gran opción para comprarte tu carro,la atencion es profesional y amable por parte del personal de trabajo como karina que es sumamente atenta y preocupada con el cliente,siempre estan dispuestos a ayudarte,los recomiendo vale la pena la visita. 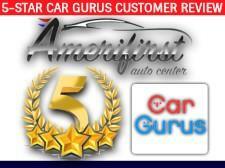 Amerifirst was recommended by a friend & his great experience with them!!! I went on a Saturday morning. We were greeted very professionally & polite, inviting environment. Looked at the cars patiently. Loved they're kept indoors, for protection of the vehicle. I was taken care of in a very professional manner by Igor. Very helpful in explaining everything to me & my husband. Making sure we were getting what we needed. Very pleased with their customer service!! Will recommend everyone to pay them a visit!!! Thank you Karina & Alex for your professionalism & caring for your clients!!! 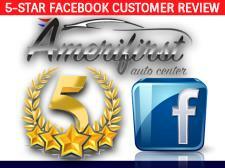 The best service in town, Amerifirst Auto Center is the place to buy your next car! Good financing, low down payment or no down, check it out! Call 305-690-0944!!! Awesome....!!! From the moment you walk in you'll love the atmosphere, not to mention the treatment ( they really roll out the red carpet ! ) helped me get the best deal and the car a came for. They really do go above and beyond. Not only will the sales men (see Jerry he's the best) but all employees will know your name before you leave with the car of your dreams!! Absolute STUDS here recommended to everyone!!! Definitely, the best place to purchase a vehicle. Jerry, made the process easy and hassle free. 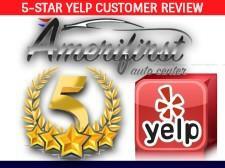 If you're shopping for a vehicle definitely give the staff at Amerifirst auto a call before you buy somewhere else. I can't say enough great things about this business ! I bought a 2006 jeep Cherokee never had a problem . Professional service, clean office and a family atmosphere! Highly recommended ! Thank you for a great car! The best dealer you can find to get your vehicle. Good customer service, good deals and prices. Im very happy with the vehicle i purchased. Finally i got what i was looking for. Im referring my family members and friends. Also Karina is the best. Call and ask for her. She will help you on the process. I bought my car for a steal and had great communication throughout the whole transaction and the car never gave me problems. Amazing deal and I'm definitely buying my next car here too. I came here today and I have to say this people are awesome. I was afraid I wasn’t going to be able to do anything because my credit is critical. And other places I visited gave me ridiculous prices but I knew was due to my credit. But the minute I spoke to them and explained my situation they were able to help me and everything when smooth after that. I spoke with Kamal and Karina and will recommend anytime. These people are great! They worked with me and my not so good credit and helped me find the right car for me. They’re fast, reliable and have great customer service. They’re even multilingual - I know I heard Spanish and Portuguese, and I think I heard Farsi. 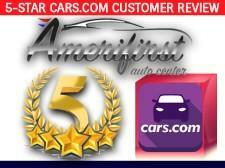 I would definitely recommend Amerifirst Auto Center. Great people and very helpful. Small independent car dealership with great prices. I recently bought my car here and I'm very happy with my purchase. It was totally worth going to this "diamond in the rough" rather than going to one of those big-name guys. I found the same car at AmeriFirst as the ones advertised at the big-name dealers for thousands cheaper and just as clean. Highly recommended! Trustworthy people. I bought a 2013 accord with low miles that drives very smooth. The folks are nice and friendly and will work with you with financing. Will definitely do business with them again. Jerry is a great sales guy. Great costumer service starting with the owner, the team that worked with me Anthony, Sophia and Karina.